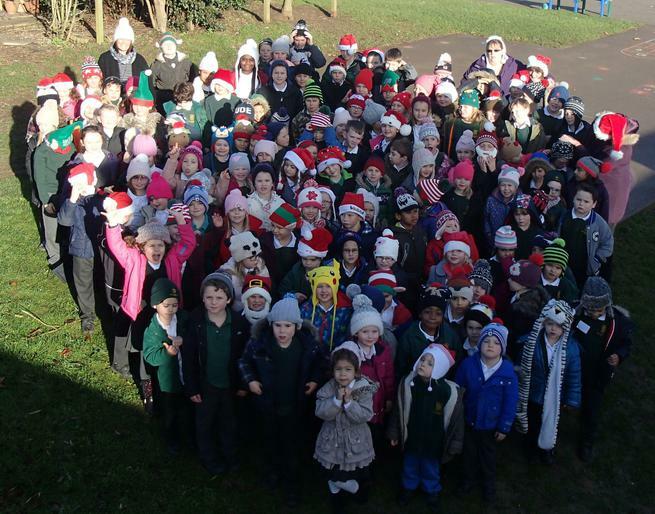 Today everyone wore a bobble hat to school (even me!) to raise funds for the NSPCC. I was up on the roof taking a picture of all the hats at break-time this morning. The total amount raised was £77.40 - thanks for your support for this fantastic charity.